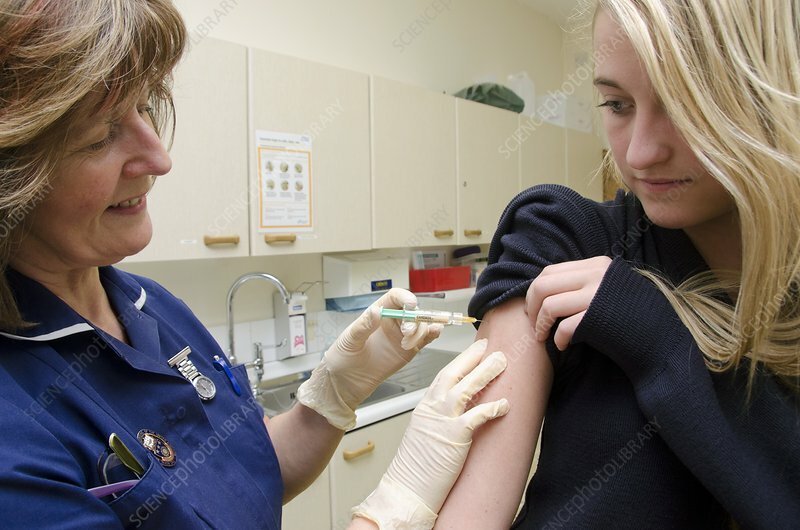 Gardasil cervical cancer vaccine injection. This vaccine protects against human papillomavirus (HPV). HPV causes a number of cancers, including cervical and penile cancers, and genital warts. Vaccination is mainly aimed at teenage girls. Model release available. Property release not available.